The BOOTIE slippers are perfect for all ladies. Every step you take in these will be comfortable and supportive as these slippers have a memory foam insole which not only moulds to your feet for the perfect fit, but also provides cushioning underfoot. 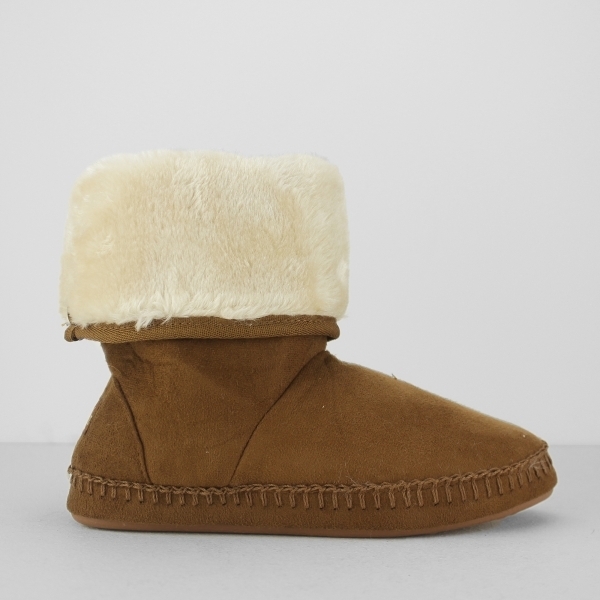 The luxuriously soft faux fur lining provides you with unparalleled warmth and cosiness which is great for those cold winter nights that the boot style is also perfect for. Relax in style as well as comfort after a long day with these sleek BOOTIE slippers.